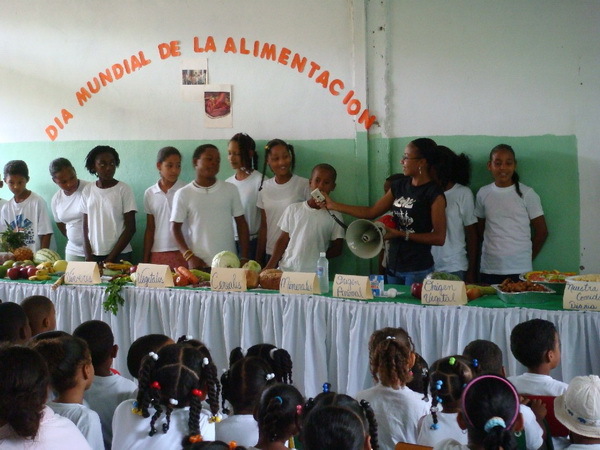 2008-10 – Wir brauchen Deine Hilfe! 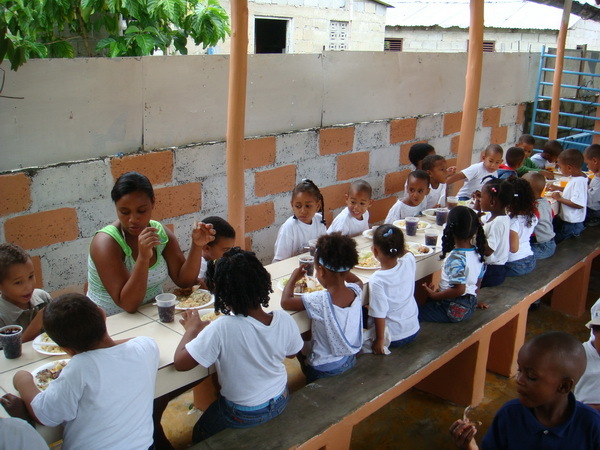 | We need your help! 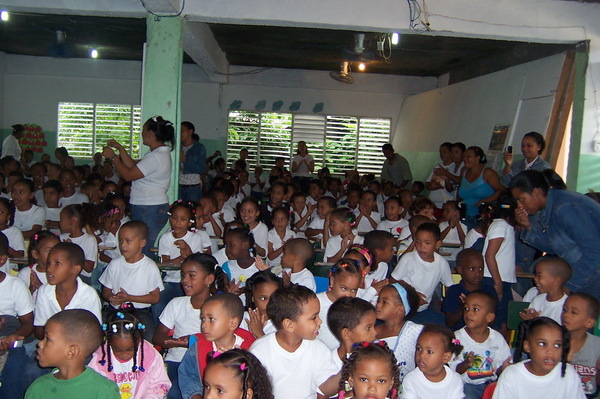 "CENTRO DE ENSEÑANZA CORAL (CEC)"
Here there is the news of what the Lord God has helped us to reached this month. 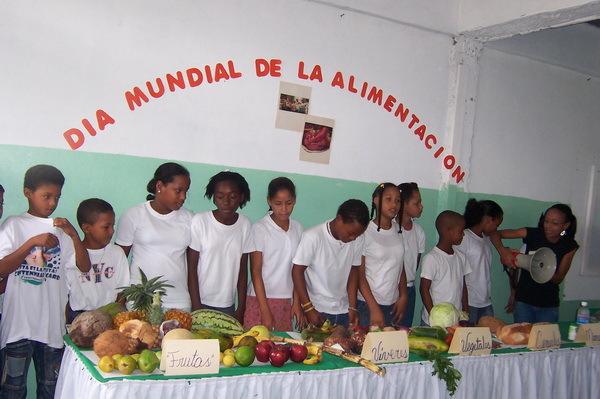 On October 16th we celebrated „El Dia Mundial de la Alimentacion“ (word food day) this is a day when we encourage people and our students to eat healthy food, have expositions and have a large lunch for the whole school. 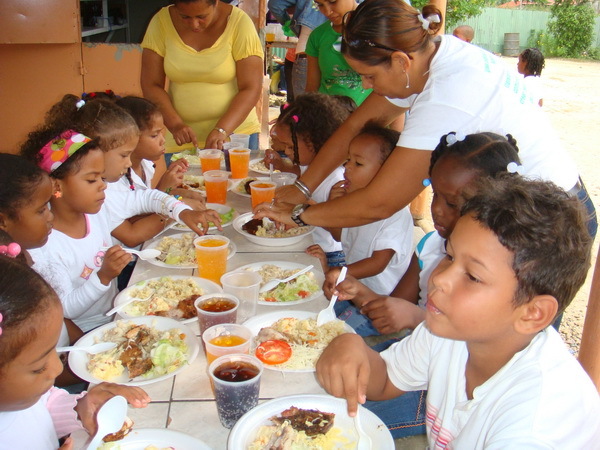 That day we had 235 children and many parents and friends. 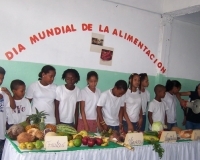 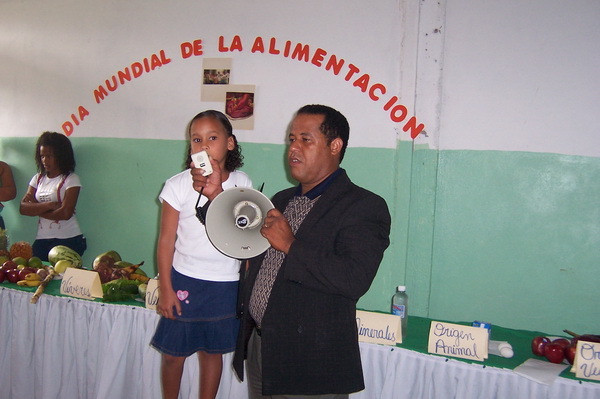 As you could se on the pictures the students made expositions about all kind of Dominican food including the fruits, vegetables, salads; ate all kinds of Dominican food, sang and played games. 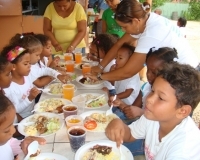 It was an exciting activity for our entire school; the parents were surprised that their children could talk about food and what to eat to grow healthy and with no problems. 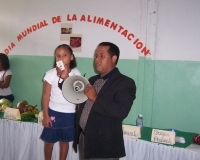 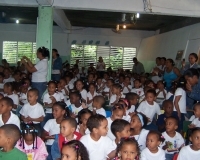 Reporters from a TV program came to the activity that day, made a live report for the TV program and showed it to the Dominican population of Sosua, Sabanta, Islabon and Cabarete on the TV. 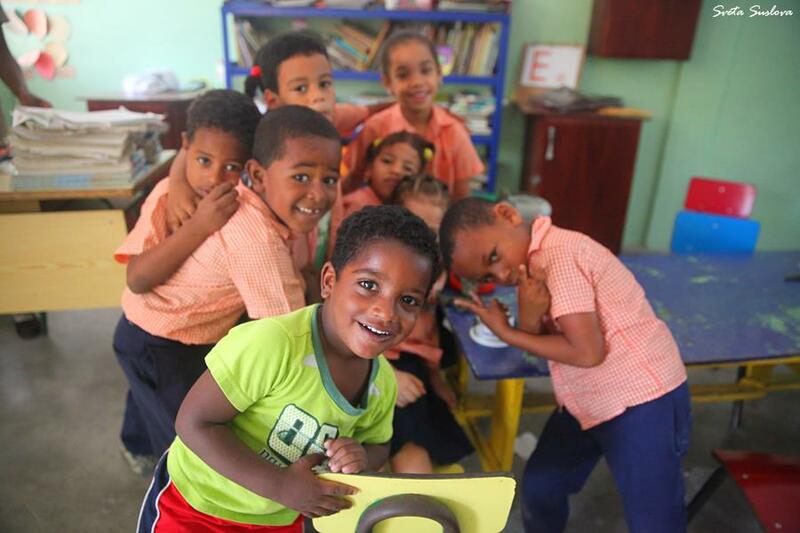 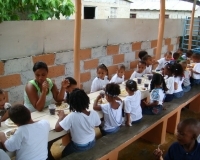 We thank you because one way or the other, even when many of you are not in the DR, you are part of the school and our progress; we fell you and can see you everyday on the eyes of the happy children that you help to come to the school everyday to receive quality education! You help us to accomplish our goals, Thank you everybody!